3 Princesses and 1 Dude! : The ONLY Gift Guide For Young Teen Girls (13-15) You Need This Christmas! 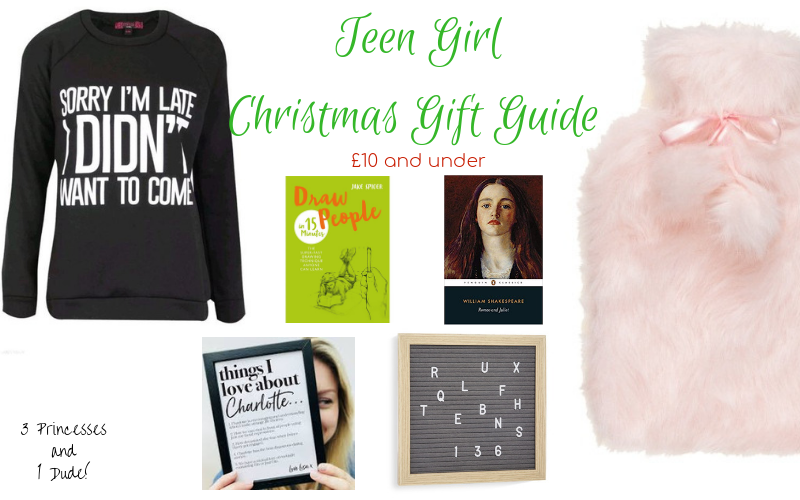 The ONLY Gift Guide For Young Teen Girls (13-15) You Need This Christmas! I’ve been looking around for gift ideas for Ellie for Christmas and...well can I be honest...it seems like LOTS of the ones I have seen are full of PR gifts and brand gifted items. 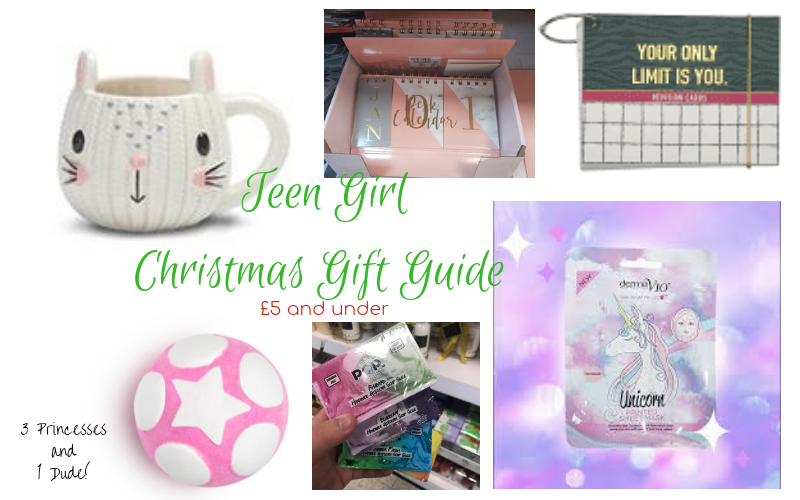 Soooo...I thought I’d write my own teen girls gift guide and so I trawled loads of websites and found loads of things in a range of prices, all stuff I know Ellie, and any teen girl, would love. I’ve even put bits on here that Ellie actually owns and loves. What’s more I asked Ellie for opinions and she came over and marked all of the items out of 10 so you can be sure that girls will absolutely love your gift. Note: The items marked with a single asterix are items we already own, Ellie loves them and we know your teen girl would too! Also a little disclaimer to say that items marked with a double asterix are affiliate links, I have tried to keep them to a minimum, and it doesn't affect the way you buy or pay for them, Amazon just give me a few pence for sharing a link to their website! 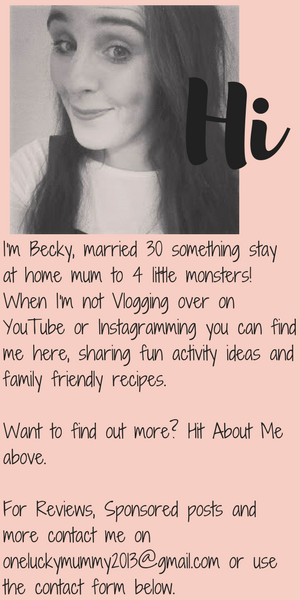 (And I mean a few pence..in all the years I have had this blog I've not even earnt £20! This is because I try to share the cheapest items available, if you do find anything cheaper anywhere let me know and I will happily change my link! Thanks. What will you be buying the teen girls in your life? Leave me a comment below and let me know! This post could not have come at a better time! Thank you so much for sharing some wonderful gift ideas - you have just made my Christmas shopping much easier! This is such a great list of ideas. Teens can be so hard to buy for! I absolutely love the idea of giving your girls books about strong women. It's so empowering for them! 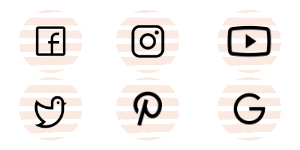 These are brilliant ideas I often struggle to know what is fashionable for teens. I love the peg boards, I would love that myself. Face masks are always a great treat too. good gadgets !To bad that I'm not teenager anymore ! I have a daughter in this age range and it is always hard to select gifts for her. These are excellent suggestions. She would love an Instax camera. Super clever ideas. I have a teen to buy for and I love all your suggestions. That cat mug. These are great! I love a lush bath bomb, looks like I need to smell the Ariana grande perfume too. Interesting with some of the not so high scores, a helpful list for anyone with teenagers. Great suggestions! A hot water bottle will definitely be a hit with my cousins! Thanks for the post! These are all seriously all such great ideas! Teen girls are so hard to shop for so this will come in super handy! These are great ideas for my niece. She's within the age-range. I think she will love 'Sorry I'm Late' jumper. LOL. And she's a fan of Ariana Grande, so I think she'll like AG's perfume. These are really nice gift guide to give on this holiday seasons and I am sure my niece and nephew would love to have some of these items. This is so perfect. Christmas is coming and I have done nothing. This is what I have been looking for. Thanks for the guide. We love the Instax Mini and the colour of it! 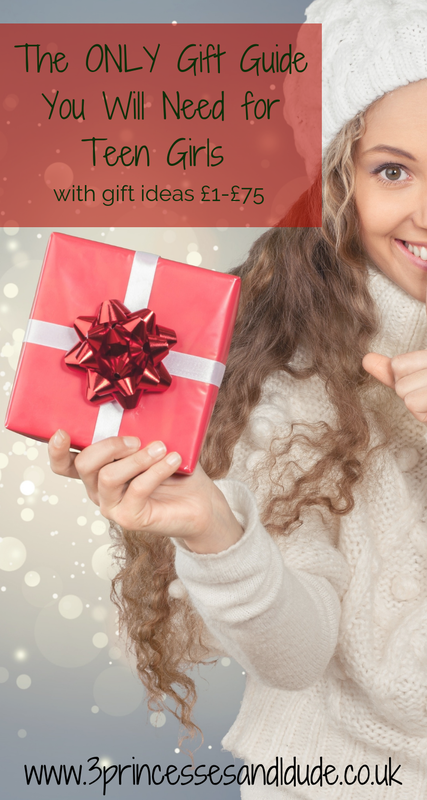 Great Gift Guide and there's lots of ideas on here! Cooking With Kids. 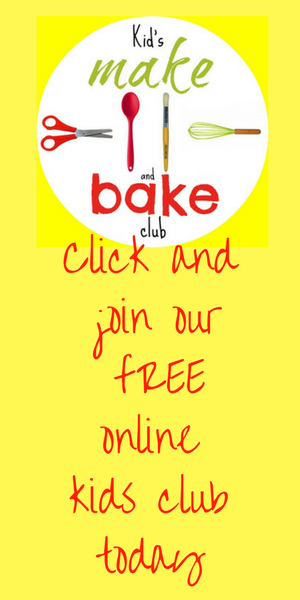 One For All EASY Dough Recipe.